It can be a challenge to help prospects or clients understand large amounts of data. Whether you’re presenting a proposal to take over their insurance program or reviewing a client’s loss history for the last few years, a Word document or Excel spreadsheet that just lists the data may not be the most efficient way to communicate. That’s where using infographics can be a great tool to enhance understanding. Infographics (information graphics) have become a popular way to convey statistics and data. They are literally popping up everywhere. This is particularly the case with social platforms like Pinterest and Instagram. Infographics are an excellent way to quickly capture someone’s attention. An infographic can be utilized in a prospect proposal to explain a complicated loss-sensitive plan. Yes, I know people have used Excel charts for a long time. Yet, people’s expectations about the quality of presentations have changed. Are you keeping up with their expectations? Or, you could create an infographic for use during a claims review with an existing client. Again, pie charts might work, but an infographic might make the information more interesting. I think it’s something worth exploring. 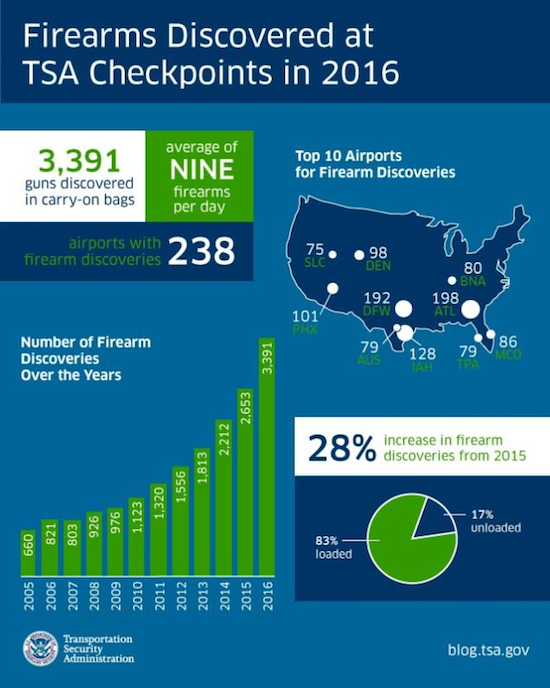 This infographic from TSA easily explains with one graphic what would take several paragraphs of text. This is the power of a good infographic. The last time I wrote about this site was four years ago when it was in beta mode. They have made tremendous progress in the functionality of the site as well as the number of infographic templates you could use as a starting point for your own design. To get started creating your infographics, choose from one of the provided templates that fits the style of information you will use. Templates are categorized so you can pick the style you want such as business, timeline, technology, geographic (like the TSA example above), marketing, or people. There is a total of 16 categories. Once you have selected the starting template, you can move, change, and add objects as well as text. Within a matter of a few minutes, you’ll have a workable infographic to use for all sorts of purposes. I’ve talked about how Canva can be a great image design tool a few times over the last several years. The last article was Create Better Presentations with Canva. A relatively new option in the Canva design studio is infographics. The infographic templates in Canva are not quite as customizable as they are in Easel.ly. For example, there is only one size available in the template library but Canva has added an extensive library of pre-designed charts that could be a great option to use for your client communications. And, you can always start with a blank template and create an infographic exactly the way you want it to look. I do know other services will help you create infographics. The two mentioned here are the ones that I have personal experience with. Even though anyone can create infographics in mere minutes, should you? There is a big difference between a useful infographic and just arranging facts and words into a semi-pleasing image. Actual infographics contain valuable information that is put into context. This is where having access to expertly designed templates can allow you to create infographics that are both smart and creative as well as informative and appealing. How have you used infographics in your marketing and communications? What tools have you found to be effective? Let me know.